Vietnam is a country of diversity: Chaotic cities and sleepy rural villages. Mountains and beaches, palm trees and pines. If you have a month in Vietnam, you can experience both the north and the south of the country, eat amazing food and get off the beaten path. 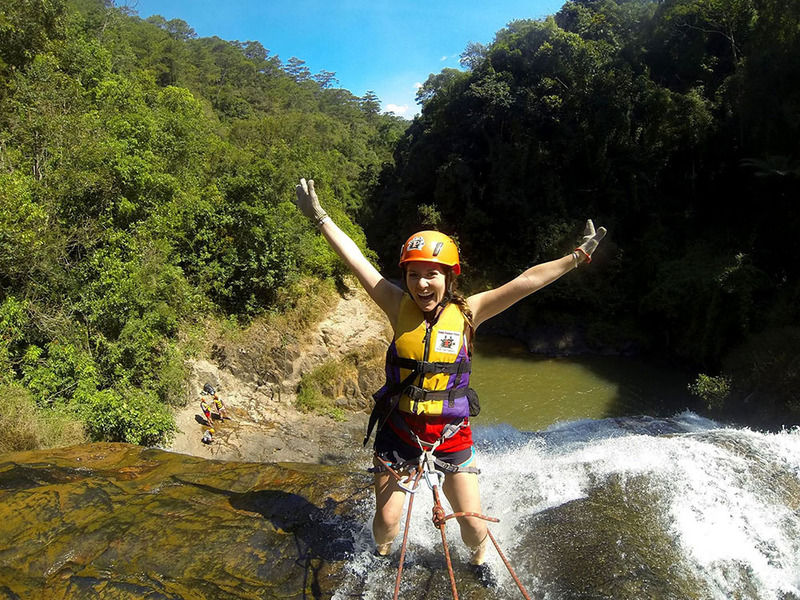 While traveling in Vietnam, we trekked through rice terraces, hugged a 1,000-year-old tree, explored famous caves, ate everything we set our sights on, and went zip-lining and canyoneering. We drove a motorbike through jungles and misty mountain passes, were invited into a home in a rural village, learned how to cook some tasty Vietnamese dishes, and rang in the new year on our own private beach. The food, the motorbikes, the landscapes and the people made this one of our favorite destinations in Southeast Asia. Vietnam is a country that surprised us in every way, and we can’t wait for you to experience its flavors and sounds and warmth for yourself. This process is a bit more complicated than other countries in Southeast Asia. Lucky for you, we’ve laid out all the steps you need to take before planning your travels to Vietnam. This isn’t just a smart thing to do – it’s absolutely necessary. From motorbike crashes to stories of theft, we saw quite a few accidents in Vietnam. We even met one young traveler whose friend needed to be airlifted to Bangkok after hurting himself and the local hospitals couldn’t treat his injury. Travel insurance is cheap, and although you hope you never need to use it, you’ll be more at ease knowing you’re covered in case of an emergency. 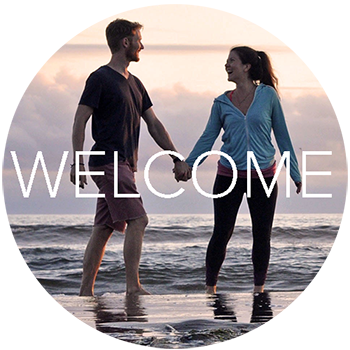 Check out our guide that explains how to choose the best policy for you. We’ve put together an itinerary that is perfect for a first-time trip to this Southeast Asian gem. By following this Vietnam itinerary, you’ll see both the north and south of the country and you'll experience big cities as well as towns that are off the beaten path. That's right – we’ve pretty much planned your trip to Vietnam for you! We’ve included a brief introduction to each city to describe the attractions and what makes it unique. We also included things to do, where to stay and insider tips you won’t want to miss. Plus, we’ve answered the all-important question in Vietnam of "What should I eat in each city in Vietnam?". After reading this itinerary, you’ll be all set to visit Vietnam! A note about this itinerary: Though we traveled from north to south, this route can easily be done in reverse. Also, the timings we suggest add up to 28 days. 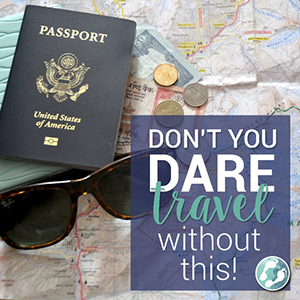 We prefer to have a little wiggle room in our itineraries so we can stay longer in places we really like, and we’d be alright if there are any issues with transportation. You can adjust the times as you see fit. If you're strict on your travel time in Vietnam, it might be a good idea to book your Vietnam transportation online ahead of time. 12go.asia is a booking site we have used and find some good deals on buses, ferries, trains and even flights. We've put together a complete one month itinerary with all the best destinations in Vietnam so all the planning is done for you! When you start your journey in the capital city of Hanoi, you may be in for a bit of culture shock. You'll witness motorbikes flowing chaotically yet synchronously through the crammed streets. The city moves to it's own beat and everyone seems happy to be there. It's a wonderful place to start. We've put together a list of 9 budget-friendly things to do in Hanoi so all your planning is taken care of! Bun Cha. Do it. NOW. Originating from Hanoi, this dish consists of grilled pork patties and noodles served with lettuce, herbs and a dipping sauce. We several delicious meals of Bun Cha in Hanoi and it was too hard to choose a winner so I'm sharing our 2 favorites! One was in a small shop on the northeast corner of St. Joseph's Cathedral and the other was at a restaurant called Bun Cha Ta at 21 Nguyễn Hữu Huân. Try them both to compare and let us know which one you liked better. Bun cha is just one of many dishes to try in Hanoi! 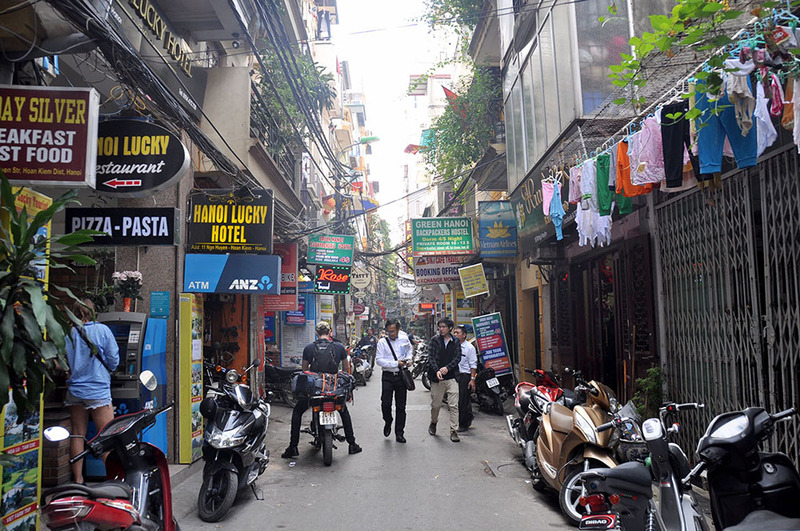 Vietnam Backpackers Hostels - Original. Offering both dorm rooms and spacious private rooms and centrally located in Hanoi's Old Quarter, Vietnam Backpackers Hostel Original was one of the best hostels we stayed in Vietnam. There's free breakfast every morning, free walking tours of the city, other tours throughout the country and happy hour specials every day. What more could you ask for! 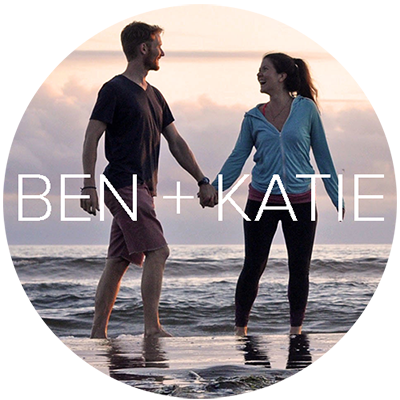 Note: We'd suggest the private rooms if you are traveling as a couple. They're not much more expensive than the dorms, and they're very nice! The Noi Bai International Airport (HAN) for Hanoi is about 30 km away from the main city center and there are many ways to get there. The best option is to take the airport shuttle bus which leaves just outside of the gates. The cost is 40,000 VND ($2 USD) and takes about 40-60 minutes depending on the traffic. If you are one of the first on, you'll have to wait a bit because they typically leave once they have a full bus. If you arrive during the day you can take the city bus number 7 that terminates at Kim Ma Bus station and number 17 that terminate at Long Bien bus station. The cost is 4,000 VND and take about one hour. The last option is to take a taxi, but they are known to overcharge traveler and typically charge $35 USD one way. We spent quite a bit of time in Sapa and trust us when we say, it's only worth the 6-hour journey from Hanoi if the weather is clear. Once the clouds roll in over the hills, say goodbye to the breath-taking views you hoped for. Sometimes it gets so foggy you can't see your hand in front of your face. Now that we've been blunt, here's the good news: when the weather is clear, Sapa is incredible. The rice terraces are stunning and the waterfalls are just a motorbike ride away. Book your bus from Hanoi to Sapa online so you don't have to worry about finding any when you arrive. The most popular thing to do in Sapa is to take a trek led by a local. You will also do a homestay and get to spend a night in their house and eat meals with them. We opted to do a trek on our own because we had just done a homestay trek in Laos the week before. 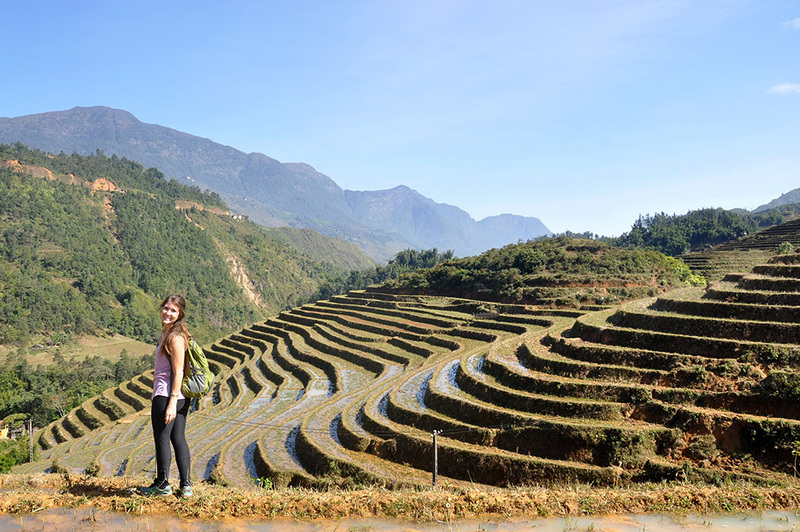 We heard mixed reviews from people who did the homestay treks in Sapa, so do your research and talk to other travelers along the way for advice. Do your own day trek by walking south on Mường Hoa Road and cutting down one of the paths into the valley. From there, explore the rice terraces by following the winding trails. Note: Know that while you are walking along the main road you will likely have women follow you and try to convince you to buy something from them or hire them as a guide. If you don't want their services, politely decline and keep walking. Another great way to spend the day is to rent a scooter and explore. We did two different day trips – one to some waterfalls and the other through surrounding villages. Waterfalls: Head to Silver Waterfall (which is always busy and just on the side of the road) and Love Waterfall. You have to pay a small entrance fee of 35,000 VND ($1.57 USD) and walk about 30 minutes in a forest path, but it is well worth it for the view. Villages: With your motorbike, travel northeast on road QL4D for about four or five kilometers from the center of Sapa and you will start to see turn offs for smaller villages on your left. You may even see signs for different homestays in these villages. Drive carefully because these roads are not well maintained but the views are stunning. Mountain View Hostel. Cozy up near the wood burning stove or play a game of pool with other guests at the Mountain View Hostel in Sapa. The dorms were nice and the free breakfast was a great way to start our day. We found the food in Sapa to be disappointing overall. The menus of most restaurants we photocopies of each other and were overpriced for what you get. There was one place that was more authentic and you get a huge portions. The "restaurant" is basically in someone's kitchen we had to get directions from the Mountain View Hostel staff. The best directions I can give are to leave out of Mountain View Hostel and go right down the steps. Walk down for about 20 steps and the door to the "restaurant" will be on your right. There isn't a menu, and they just cook what they have on hand, so it is truly an authentic experience. Try your best to make ethical and sustainable choices while here. Sapa has had a boom of tourism in the last years and the locals will try to do anything to benefit from the masses entering this tiny town. If you do choose to trek with a company, try to go with one that directly benefits the locals instead of the bigger companies. One reputable trekking organization is called Sapa Sisters. It is the only female-owned trekking company in town and they pay their guides fairly. Also, if you're looking to buy handicrafts in Sapa, there's a wonderful Hmong-owned shop called Hemp & Embroidery that sells handmade goods – from hand-stamped indigo fabrics to traditional Hmong jewelry. While we loved Sapa, the pushy touts and touristy vibe of the town was a bit off-putting at times. We were planning to take a motorbike to Hà Giang, a lesser-known province in the north of Vietnam. Since the weather was so bad, we cut it from our Vietnam itinerary and are saving it for our next visit! One thing to note is that the best way to get there is by motorbike, as public transportation in the area is unreliable and even the locals weren't able to tell us when or how often it came. We've heard that this area is incredibly beautiful and far less touristy than Sapa. One of the most iconic destinations within Vietnam is the lush island cliffs rising from the still waters of Ha Long Bay. Choosing from the numerous boat cruises is a tough task, especially when there are a lot of scams scattered on the Internet. Make sure to look at reviews and ratings before paying for your trip. It's a bit of a splurge, but the landscape is incredible and you can't miss this. There's a boat tour style for every traveler – from calm sight-seeing tours to foodie cruises to drink-til-you-drop booze cruises. We were in Ha Long Bay for over New Year's Eve so we wanted to have a little fun. We did a 3-day/2-night trip with Halong Party Cruises (affiliated with Oasis Bay) and it was a blast. The first day was filled with weaving around the towering limestone islands and exploring caves. The next day we traveled to Freedom Island to have a NYE party on the beach. It was a night to remember with amazing people. If you are traveling Vietnam with your kids, check out the best family-friendly Ha Long Bay cruises to choose the right one for you. Read More: Find more information about what to expect in Ha Long Bay. Whether you're looking for a unique and non-touristy weekend getaway from Hanoi or you're continuing south through Vietnam, Ninh Binh province should you be your next stop (if you have the time!). Take the bus from Hanoi to the city of Ninh Binh, rent a scooter and just outside of town is the UNESCO World Heritage Site of Trang An National Park. Take a boat tour through narrow cave waterways and grottoes. You'll be in awe not only by the natural beauty surrounding you, but also because the women rowing the boat can paddle with their feet! The next day, fuel up your scooter and drive to Cuc Phuong National Park. About 40 km from Ninh Binh, Cuc Phuong is the largest and oldest national park in Vietnam. The park not only has hundreds species of animals within a unique ecosystem, but it has some incredible sites like the cave of the prehistoric man and a 1,000-year-old tree. There are places to stay within the park for all levels of comfort. We stayed in the cheapest room at the park center which was a simple bedroom with a shared bathroom for 200,000 VND/room ($9 USD). It was good enough for one night, if we were staying longer, we probably would have upgraded. You can see the other types of accommodation on Cuc Phuong National Park website. After your night in the jungle, head back to Ninh Binh to catch a bus to Phong Nha. Kinh Do Hotel Ninh Binh. Average hotel with free breakfast and a friendly staff. They rent out good quality scooters so you're able to get on and head straight to Trang An and Cuc Phuong. There isn't much to choose from when it comes to accommodation in Ninh Binh, so this place is a good bet. There's nothing better than visiting one of the best kept secrets of a country before it gets too popular. We are convinced that the small town of Phong Nha is exactly that place. The countryside surrounding the town is filled with friendly locals and is pocketed with caves. In fact, it is in this region that the world's largest cave, Son Doong Cave, is located. While the drone videos of this gigantic cave look insanely cool, don't get too set on putting it on your itinerary. The cave has a sensitive ecosystem and you'll have to dish out a cool $3,000 USD for a 7-day trek. But don't worry, there are plenty other caves to visit in the area if your budget doesn't allow a massive splurge. Rent a motorbike to explore the area. This region is very flat and there aren't many people on the road, so it's a great place to ride even for an unexperienced driver. If you stay at Easy Tiger Hostel (the town's biggest and best hostel; more info below) you can rent a motorbike from the guys next door. Dark Cave is so much fun! As long as you think of it as a sort of natural amusement park, you'll have a great time. Here's what to expect: a zip-line, trekking through a cave until you reach a natural mud pit and swimming through a cave lake in complete darkness. After you're finished in the cave, play on the ropes course until you've had your fill of waterpark-esque fun! Paradise Cave is completely different, and we'd highly recommend visiting both this AND Dark Cave as they are totally separate experiences. Paradise Cave used to be the world's largest cave until Son Doong was discovered. It easily accommodates tourists, with wooden walking platforms and lights inside the cave, but the cave itself is nothing short of magical. And when we arrived in the late afternoon, we pretty much had the gigantic cave to ourselves. There's also the historic Phong Nha Cave which is located just a 20-minute walk from Easy Tiger. During the war, this cave hid Vietnam's anti-aircraft equipment that the Americans spent years trying to find. Easy Tiger Hostel. This huge hostel is centrally located in the small town of Phong Na. They have an informational meeting every day to tell you about the town and how to get around. The staff is wonderful and restaurant is delicious (order the Indonesian chicken plate!). They have open mic nights frequently, so you can show off your skills (or just watch others kill it on stage). Make sure to book your bed(s) via email. Grilled Chicken. Okay, I know that it's not what you think of as traditional Vietnamese food, but I can assure you this is the epitome of real local cooking. Rent bicycles from Easy Tiger and head to what is known as the "Pub with Cold Beer" (ask Easy Tiger for the map). You'll ride past handfuls of small children smiling and waving at you. These people in the surrounding villages were the friendliest we met in all of Vietnam. At this hammock-filled restaurant, you can order a half chicken or whole chicken and the lady will ask you if you want to kill it yourself. Yeah, you read that right. They raise it, you kill it. We kindly rejected her offer, but at least we knew the chicken was going to be fresh! Enjoy your chicken and a cold beer (of course) overlooking the river below. For a great Vietnamese coffee, stop by the Mountain River Cafe and order the special coffee (chocolate Vietnamese coffee). You won't be disappointed. Fun Fact: The owner of this place first discovered the Son Doong Cave. If you're lucky you might get to meet him! We only had a few hours in Hue during a bus transfer, so we tried to pack in as much as we could. 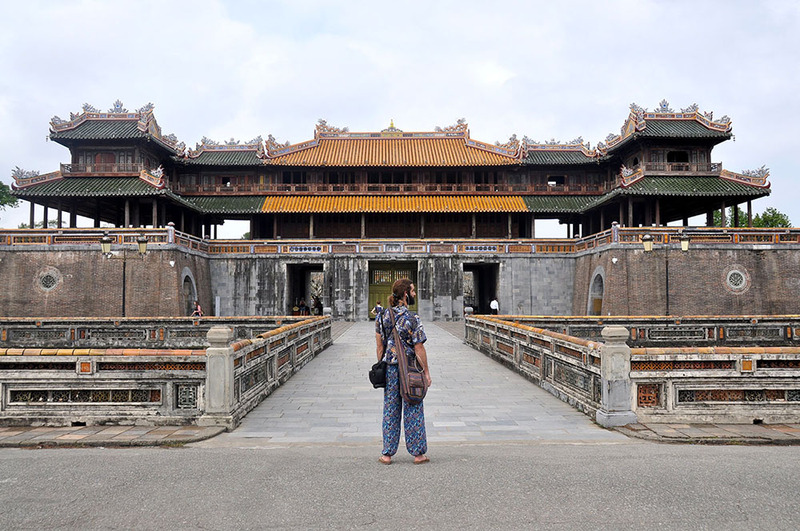 Hue is the cultural capital of Vietnam and was the seat of the Nyugen Dynasty emperors. The Hue Royal Palace is in the center of the city and easily visited for 150,000 VND ($6.72 USD). We didn't have enough time to explore inside, so we took pictures outside the main gate, which was pretty impressive. If we had more time in Hue, we would have gone to the Thiên Mụ Pagoda and the surrounding parks (we heard there is an abandoned theme park that is pretty cool and creepy). 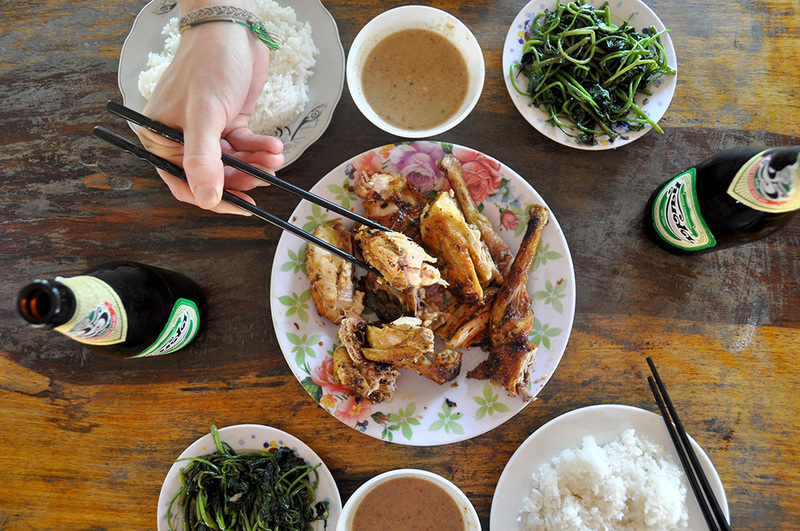 Hue is not only the cultural capital of Vietnam, but it's also famous for is food. Instead spending our time at historic tombs and towers, we ate our way around Hue for a few hours. Bun Bo Hue: Spicy vermicelli noodle beef soup. Don't forget to slurp! Logistical note: If we had to choose a city to cut from this itinerary, it would be Hue. But if you do end up staying here for the night, we use Agoda to find the best hotel/guesthouse deals around Southeast Asia. Calling Hoi An touristy is an understatement, but there's a reason people from all over the world flock to this UNESCO protected city. We spent almost one week here, but easily could've been there for two. We've got you covered with a list of several things to do in Hoi An! Hoi An is known for wonderful homestay accommodation, which is more like a bed and breakfast than the traditional homestay you may be imagining. A fantastic option for those traveling on a budget is Countryside Moon Homestay. Feel right at home as this wonderful family welcomes you into their home. You'll rest easy in the large, clean ensuite rooms and have free breakfast waiting for you in the morning. It's a bit out of the city center but the bicycles are free to rent and they can arrange a motorbike rental for you at a reasonable price. One of the cheapest and tastiest street foods in Vietnam is a Bánh mì baguette sandwich. For the best in town, head to Banh My Phuong for this tasty dish. Anthony Bourdain recommended this place on his show No Reservations and it was ahhh-mazing. Also don't forget to try the famous cao lầu (noodle soup) in the local market. The noodles in cao lầu are made using a secret recipe by a local family and Hoi An is the only place you can taste the real stuff. Another ubiquitous dish in this city is the Hoi An White Rose, which is a delicate dumpling filled with meat or shrimp. Back in the old days, the rich people from Saigon would travel to Da Lat to get away from the heat and bustling city to enjoy the wilderness. Today, Da Lat is a pretty big city itself, but there are some unique places to see in the outskirts of town. If you venture far enough, the thick pine forests and waterfalls will make you wonder if you're even in Vietnam anymore. From cute cafés and quirky architecture in town to adventure sports and an incredibly special cultural experience outside the city, there is plenty to do in Da Lat. Check out our list of things to do in this unique Vietnamese town. Mr. Peace Backpackers House. As you walk into the hostel, you will be greeted with a hug by Mr. Peace (maybe a kiss on the cheek if you're lucky!). He welcomes all his guest this way and always makes sure you're having a good time at this place. They can arrange all sorts of tours for you and most nights have host a family style dinner before going out as a group to the 100 Roofs Bar. We could've spent all day watching the masses of people on motorbikes flow around the streets of Ho Chi Minh City... or Saigon as it is still referred to by locals. Walk to the American War Museum, and be prepared for an emotional experience. The big military machinery outside the museum is what you'll notice first, but it's what is inside that will really hit you. Walking through the exhibits is not easy, but is moving and so necessary to get a different understanding of this time in history. Bùi Viện Street comes alive at night when bar owners begin spreading out plastic stools for patrons to drink beer out in the street. Once the sun sets, this is the place to be any night of the week. There are plenty of other things to do in Ho Chi Minh City, but we just didn't have time. We considered going to the Củ Chi tunnels, but the American War Museum was emotional enough and our time was running short, so we decided against it. We didn't like the place we stayed in Saigon so we can't recommend it. If we were to choose a new place, we would go with Lily Hostel. It's cheap, has cute private rooms and has a great location. And if you're looking for a more social environment, Vietnam Inn is a well-known hostel that hosts legendary pub crawls. If you only eat one meal in Saigon, it should be at Lunch Lady Noodles – hands down. Run by Nguyen Thi Thanh, this local legend hit the global scale when Anthony Bourdain visited the stand for his show "No Reservations". The menu changes each day of the week and I guarantee you won't be disappointed. On the day we visited, we got a bowl of slippery noodle seafood soup and it was one of the best meals we had in all of Vietnam. The best part is it only cost 40,000 VND ($1.79 USD) per bowl. For more information on this famous street stall and to see the daily menu, check out this website. Below is the location of the Lunch Lady. For more accurate directions, here is the street she is on: Hẻm D Chung Cư Nguyễn Đình C, Đa Kao, District 1, Ho Chi Minh, Vietnam. You can also type "The Lunch Lady (noodles)" in Google Maps and it will pinpoint it right on your map. Warning: There's only one thing to order at the Lunch Lady's food stall: the noodle soup of the day. However, there are other vendors (probably her relatives or friends) that will put food on your table (fresh spring rolls, deep fried veggies, etc.) that you didn't ask for and therefore are not included in the price. The spring rolls are delicious, but just a warning that you'll have to pay an extra 18,000 VND ($0.83 USD) for them. Politely say "no" if you do not want to eat these, and they will take them away. We are pretty certain we will be back in Vietnam someday. When we get back there, a motorbike trip around Hà Giang province is at the top of our wish list. We were planning on spending some time there, but nasty weather kept us away this time. We heard mixed reviews about the beaches and sand dunes of Mui Né, but if we have more time we would have made it down there to check it out for ourselves. The Suối Tiên Fairy Stream near Mui Ne certainly looks beautiful! Maybe next time. Compared to the sand and surf of the rest of SE Asia, Vietnam really isn't the best beach destination. 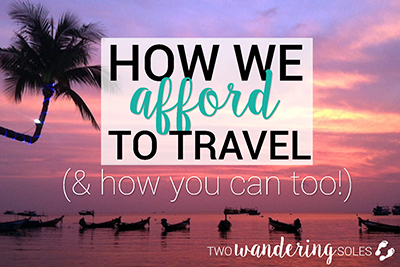 We were traveling to Cambodia next and going to the beaches of Koh Rong and Koh Rong Samloem so we didn't feel the need to get our tan on in Vietnam. But sometimes you just crave a little Vitamin D (and Vitamin SEA), am I right?! Of all the coastline in this long country, we heard the best reviews about Phu Quoc Island. Again, if you're traveling to Thailand, Cambodia, or really any other nearby country, chances are you'll find better beaches, but it seems like Phu Quoc can hold its own among the best of them. We may just have to get there someday to give it a try ourselves. We were planning on going here as one of our last stops in Vietnam, but after hearing very negative things from different people throughout out Vietnam (and because we were pressed for time) we decided against it. People we talked to said they felt like it was a total tourist trap and they felt really pressured into buying things. Updates Note: We recently heard about a bike tour in the Mekong Delta area that is supposed to be worthwhile. So our recommendation for anyone who really wants to see this area is to do you research and go with a reputable (and sustainable!) company. We avoided Nah Trang because everyone we met said it was a dirty city and has become a Russian spring break playground instead of a true Vietnamese city. We did spend 3 hours there (from 4 a.m. to 7 a.m.) while waiting for a bus transfer. We ended up sleeping on the beach for a bit and watched the sunrise, which was nicer than we expected. The beach was nice at dawn, so if you're looking for a party on the beach it might be okay, but we heard better things about Mui Né and Phu Quoc Island. Additionally, we met a couple who did their Scuba diving certification in Nha Trang and ended up collecting trash while underwater because it was so polluted. So it may not be the best place to dive either. Where should I go if I have 2 weeks in Vietnam? Two weeks is still a good amount of time in Vietnam, but you'll have to move fast and skip a few places. It is a HUGE country, after all, and travel between cities can take quite a while. A good (but pretty rushed!) 2-week Vietnam itinerary that covers both the north and south of Vietnam could look something like this: Hanoi, Ha Long Bay, Hoi An and Ho Chi Minh City (remember, traveling between these cities can take much longer than you may think). Our recommendation with 2 weeks would be to split the country and choose only one region - either North Vietnam or South Vietnam. This way, you'd have more time for the more authentic and less-traveled towns like Phong Nha and Dalat. But it really comes down to personal travel style and which regions you are most interested in covering. Have you ever been to Vietnam? Where did you travel? What was your favorite place? Would you add anything to our itinerary? We'd love to hear from you in the comments below!